Working my way through lesson two, awareness, in the book Zen Camera. I skim read the chapter, planning to go back and read more thoroughly, in order to get to the exercises. I want to make sure I have time this month to give the exercises attention and effort. I began with the exercise, staying with it. There are two parts to this exercise. In the first part, make multiple images of the same thing. 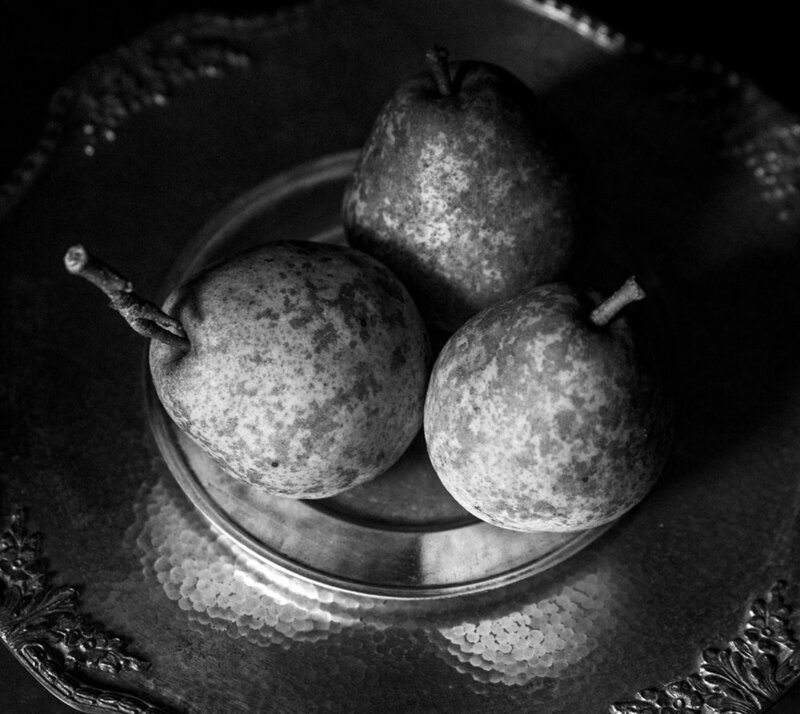 I opted for something straightforward, a still life with pears. I’d taken a photo of this pear tree near my home a few weeks back. Today, I stopped again, and picked a few pears for my assignment. 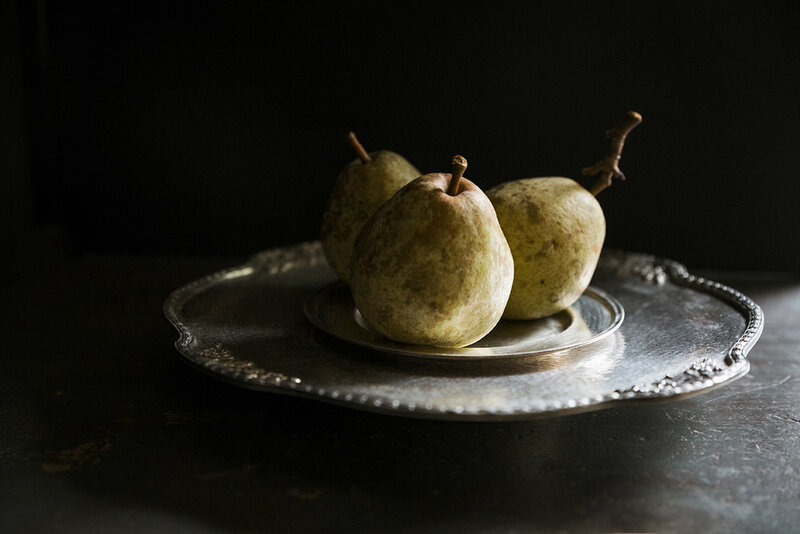 Unlike grocery store pears, these are not nearly so perfect, and I love them all the more for those imperfections. I set up a makeshift studio in my garage and began exploring my subject. I took 40 images— experimenting with framing, depth of field, blur, black and white versus color, format, and perspective. I understand this assignment. My job is to be able to sense how something will look in a photograph. The photographer’s eye and the camera lens see in very different ways. 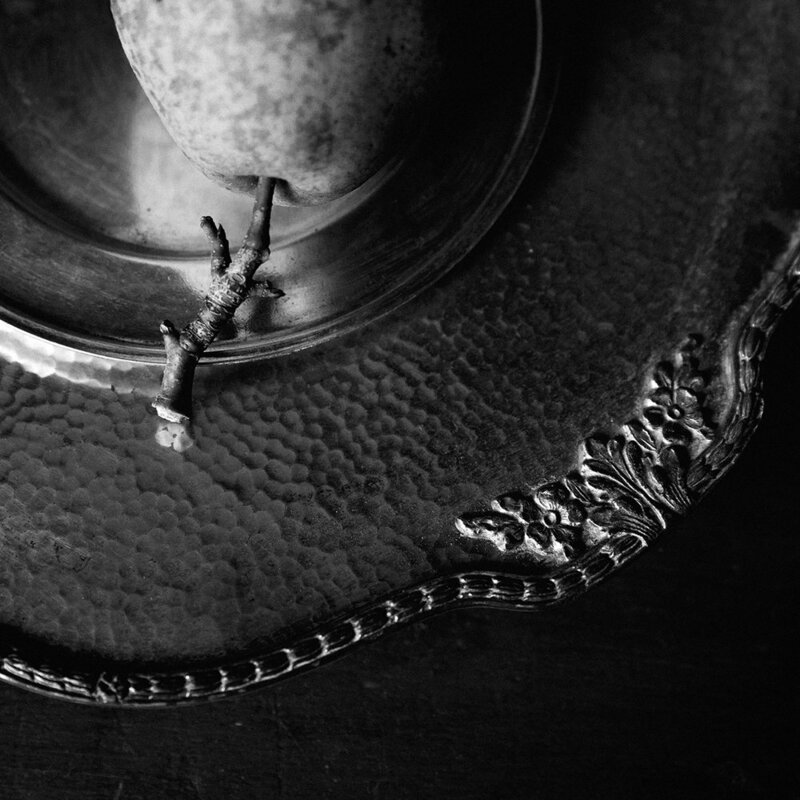 The object of the exercise is to observe the changes that occur from sight to image. The second part of this exercise involves learning to stay with something beyond the point of resistance when you would normally disengage and move on. Persistence. Think of this as a warm-up to stimulate creativity. At first, I was resistant to this part of the exercise. 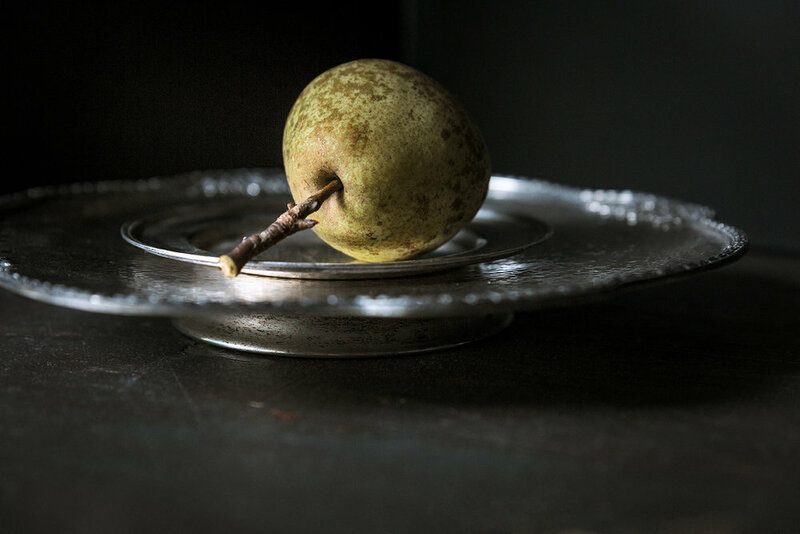 I’ve taken a lot of still life photographs in my practice, and I couldn’t imagine a different way to make a picture of the pears. But I kept at it. Long past when I would have typically given up. And when I sat down to process the RAW files, I could see the value of staying with it. Some of the most striking images were made near the end of my work, when I had found the best light and the more interesting compositions. Had I not been working on this assignment, I might not have considered a black and white version or a square crop. Even in my garage, on an ordinary day, it is possible to fall deeply into creative flow and work the afternoon away.